3. Click “+” to add a new printer. 4. Click “Advanced” from the tab options. If you don’t see it, than right-click or CTRL-click in the toolbar area (gray on top) and select “Customize Toolbar”. Drag the Advanced icon to the toolbar, click “Done” and click “Advanced”. My example connection is for user named “serbian” with password “cafe012”. 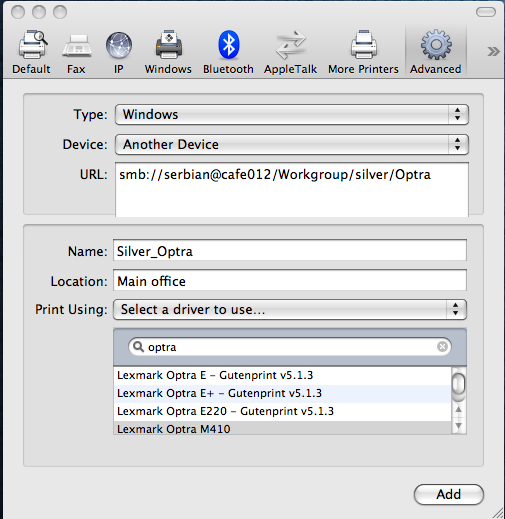 Domain name is “Workgroup”, computer name “silver” and printer was shared by Windows as “Optra”. Fill the rest of the data as you please. Mac OS X 10.5 Leopard is great, but as any other OS, it has it’s growing pains. 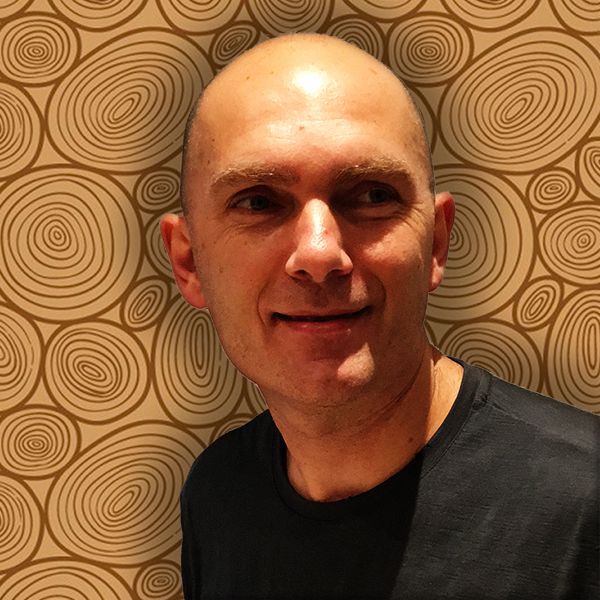 UPDATE: The Leopard install has been released. Works great.